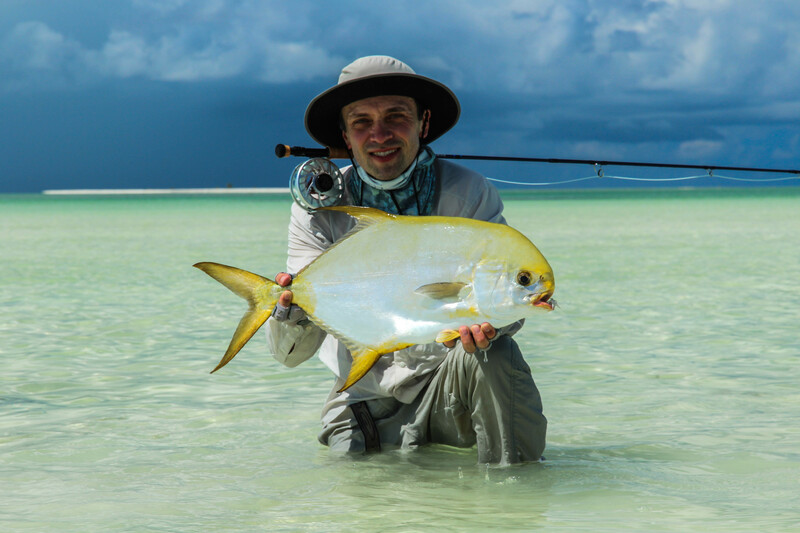 An Alphonse sunrise is one of the most spectacular sightings behold as the sun rises above an endless horizon, split by a white haze of surf, sand and blue ocean. 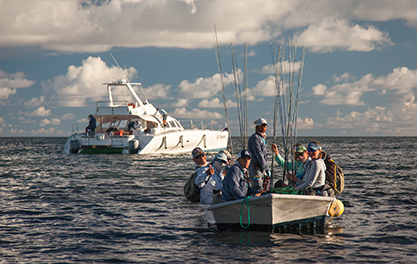 The weather was mostly stable and the tides immense with some of the lowest drops this year. 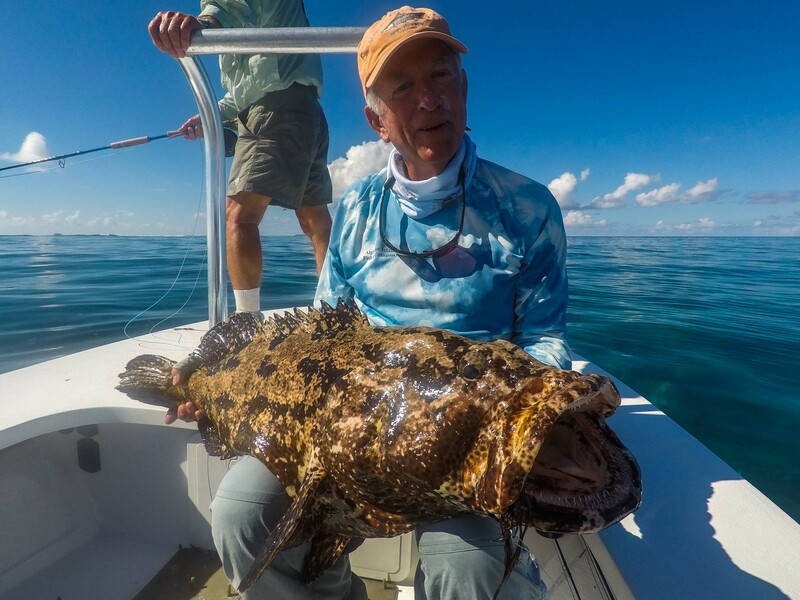 To the extent that some coral heads that the most seasoned guides had never seen before made an appearance. 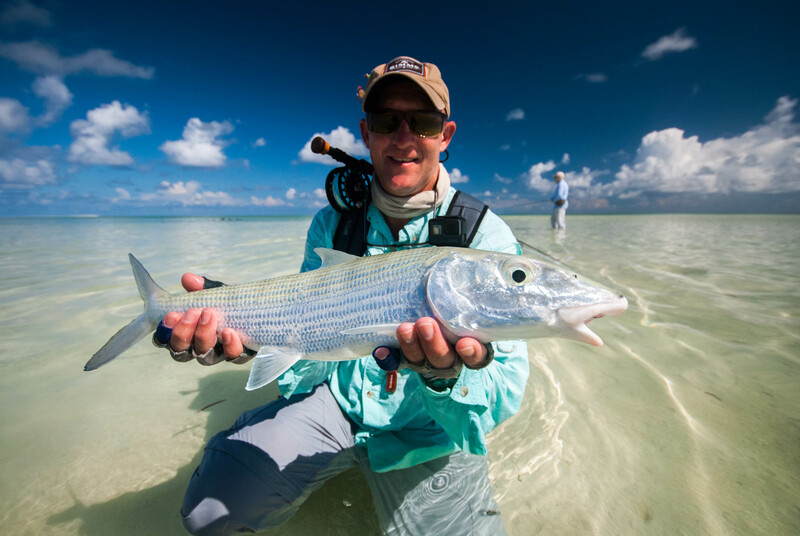 The inner flats dried up completely at times which meant that the teams mostly headed off to the surf to enjoy the cool pushing tides that made the fishing exceptional. 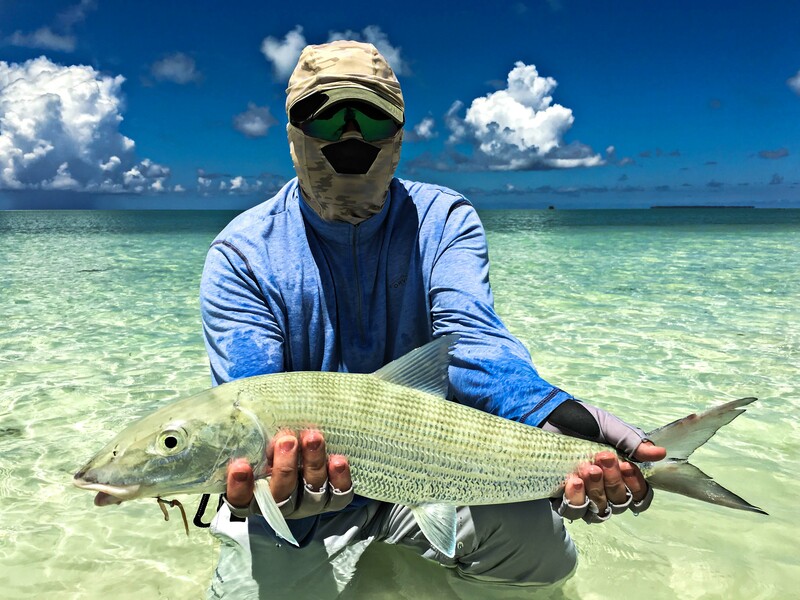 The starting day of the week referred to as “Bonefish Sunday” irons out the casting kinks and fine tunes the eye for what’s to come during the week. 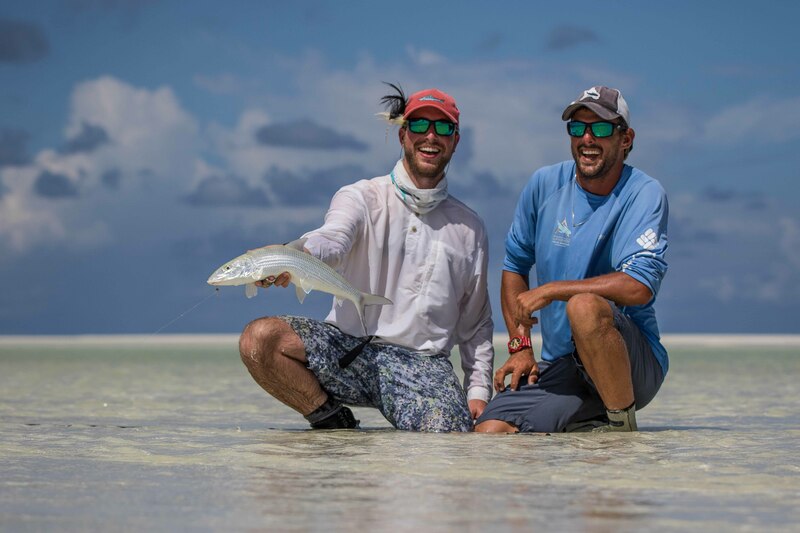 Father and son Michael and Chris G managed 48 bonefish between the two of them on Sunday with most the fish of a respectable size. 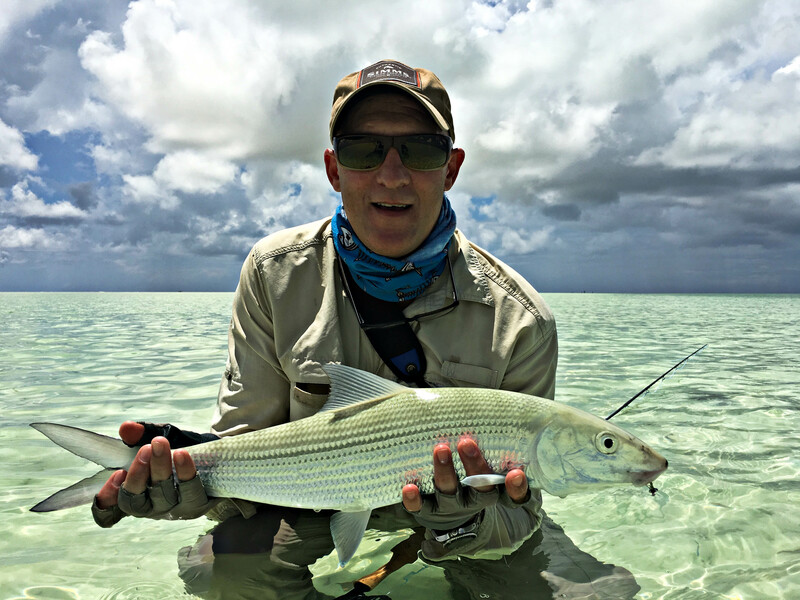 As the days progressed and as always St Francois presented a variety of species for our guests to target. 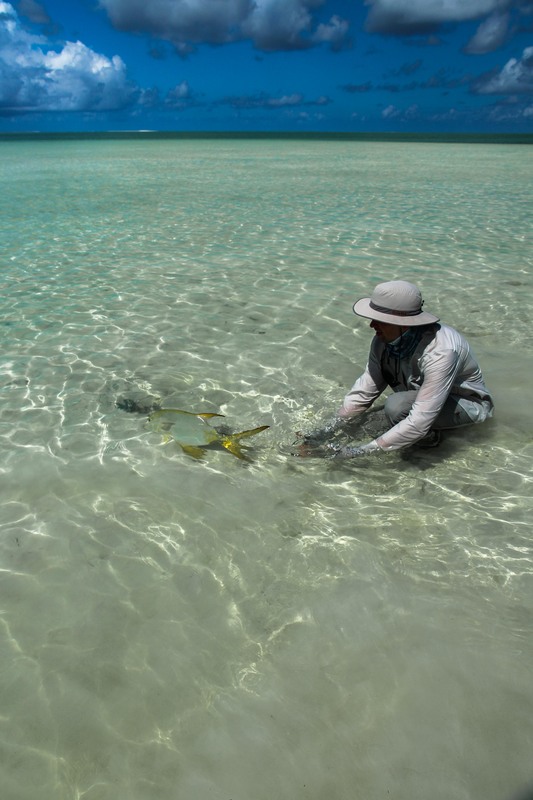 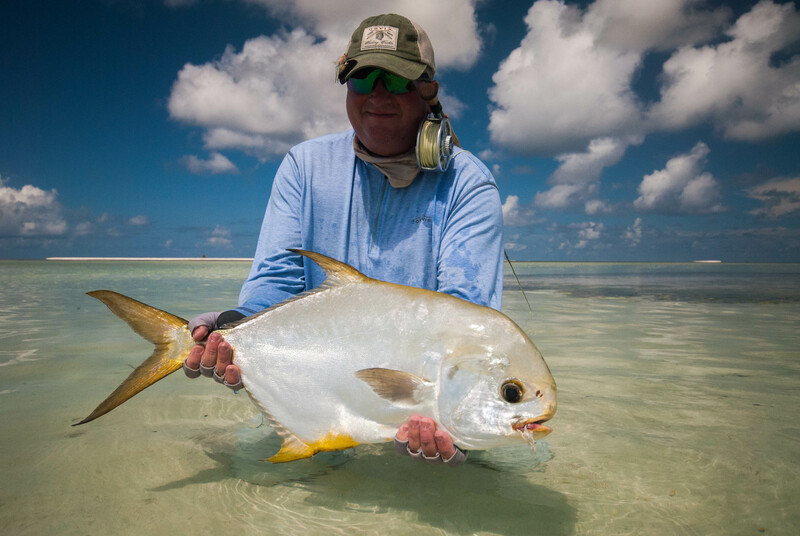 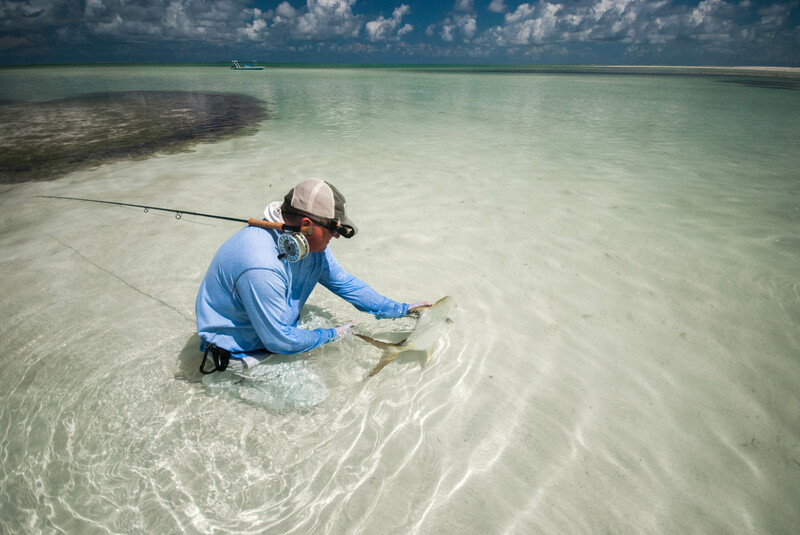 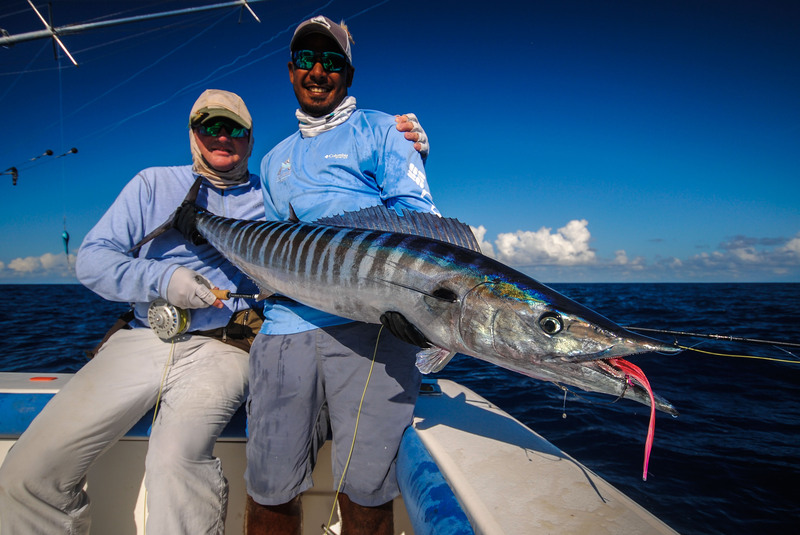 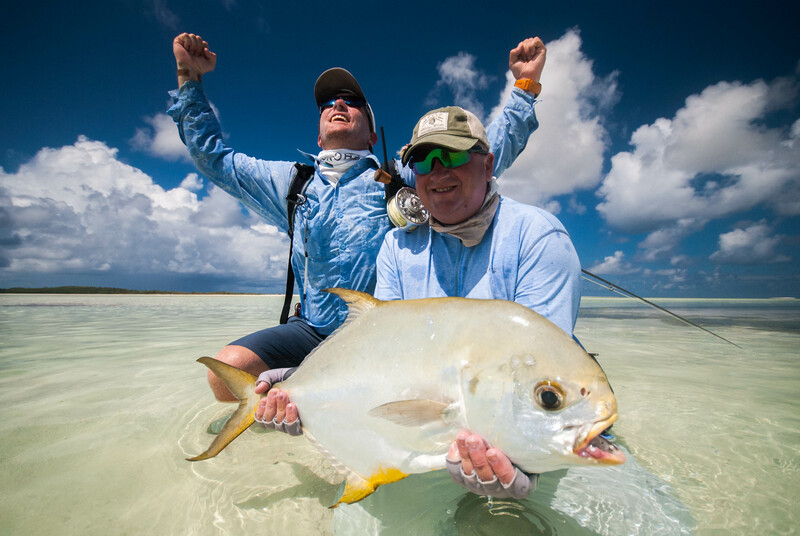 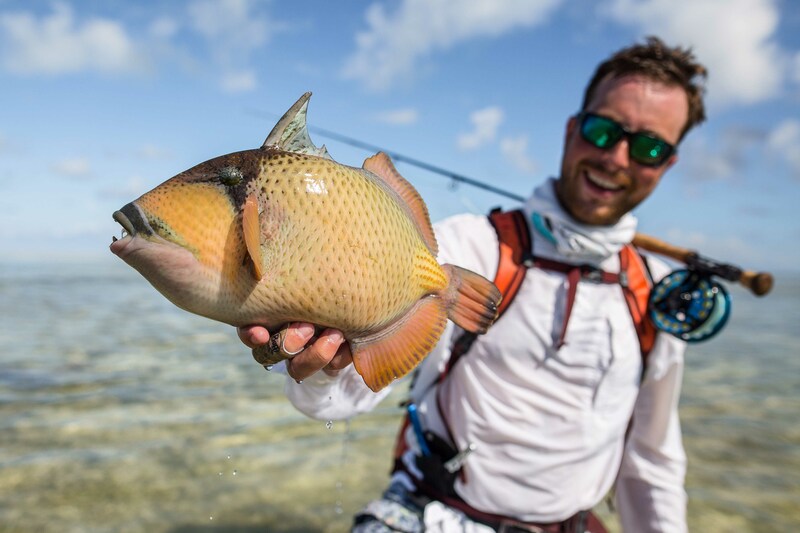 Jared Z was the first of the guests to take advantage of the magnificent surf conditions and landed a “Flats Slam” consisting of a well-groomed moustache triggerfish, a GT and a hand full of bonefish.later on in the week Jared also went on to catch his first sailfish on fly. 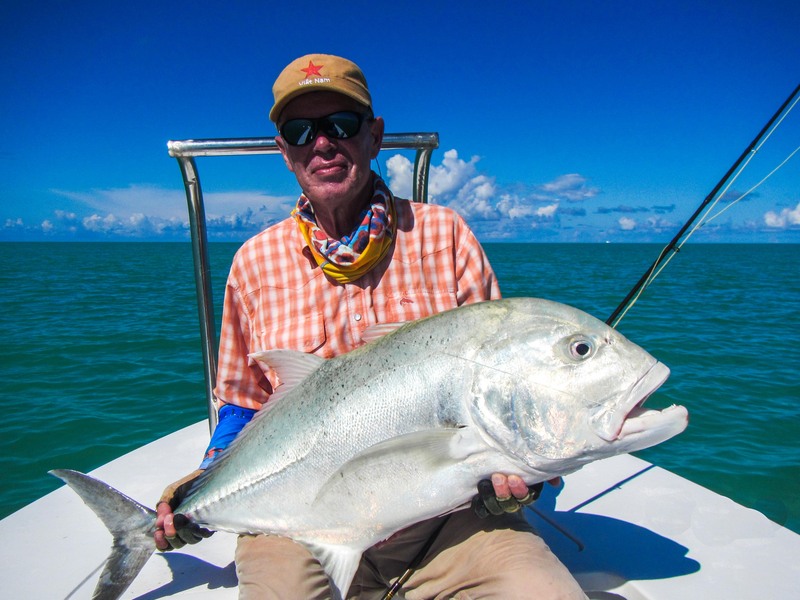 Following on was Bruce J with a fin perfect 81cm GT and Yuri T with a brace GT’s just falling short of the magic one-meter mark at 97cm. 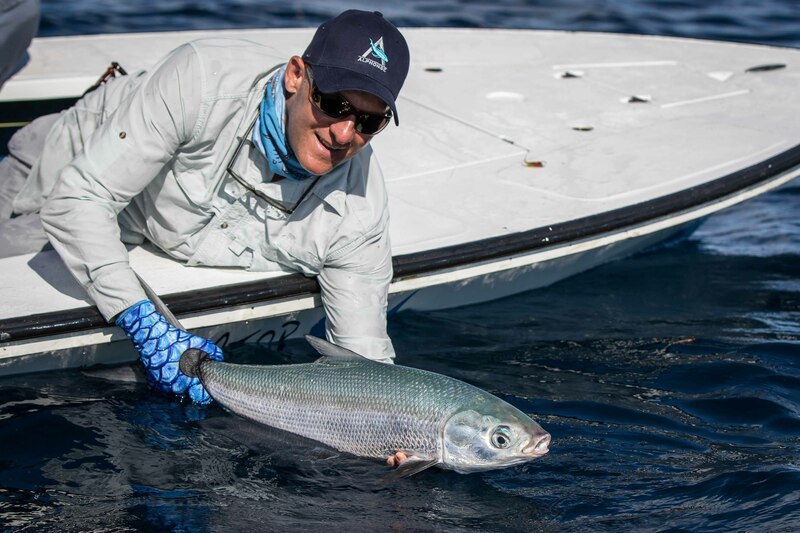 Not only was the surf fishing on fire but the milkfish were out and about with both Josh H and Michael T managing to hang onto their fish after a lengthy battle and many failed attempts due to hooks pulling and line parting. 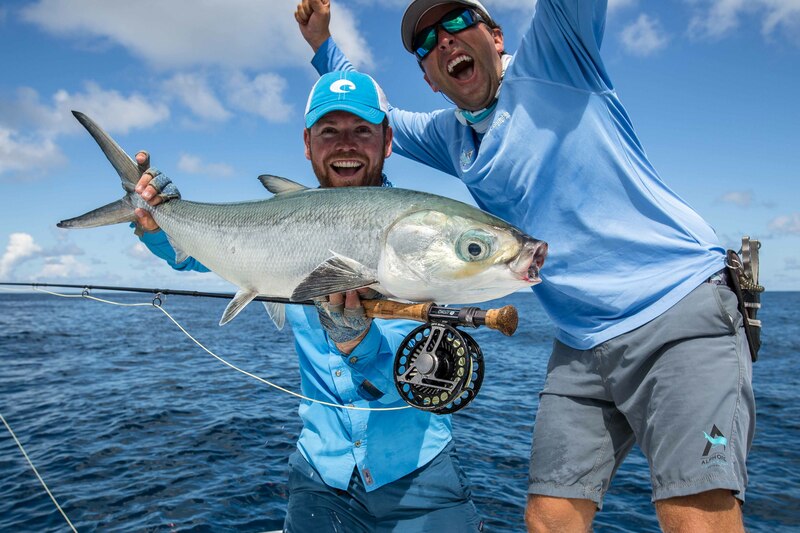 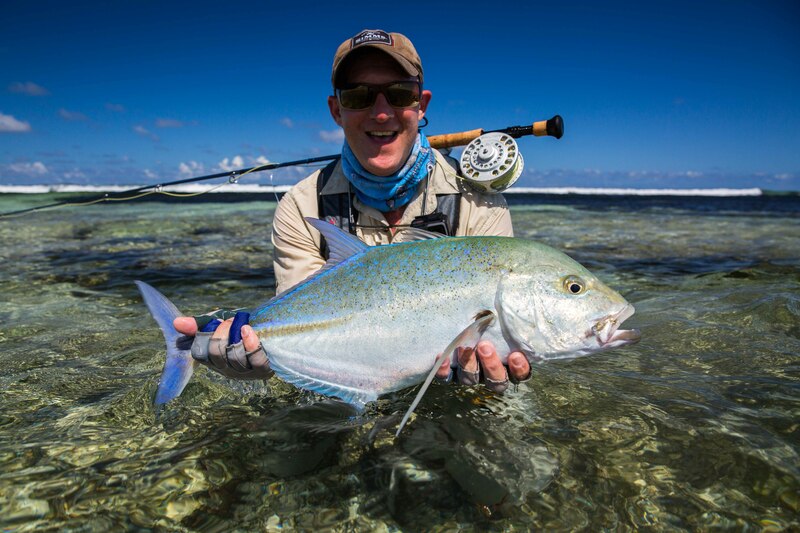 Saving the best for last, Bruce and Dmytro S managed to land good size Indo-Pacific permit each that stretched the tape to well over 60cm fork length. 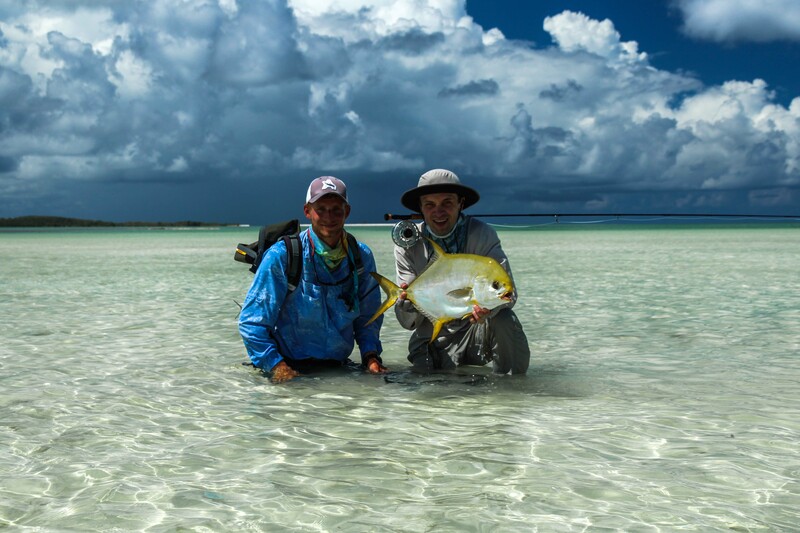 Once again a fun and eventful week of fishing. 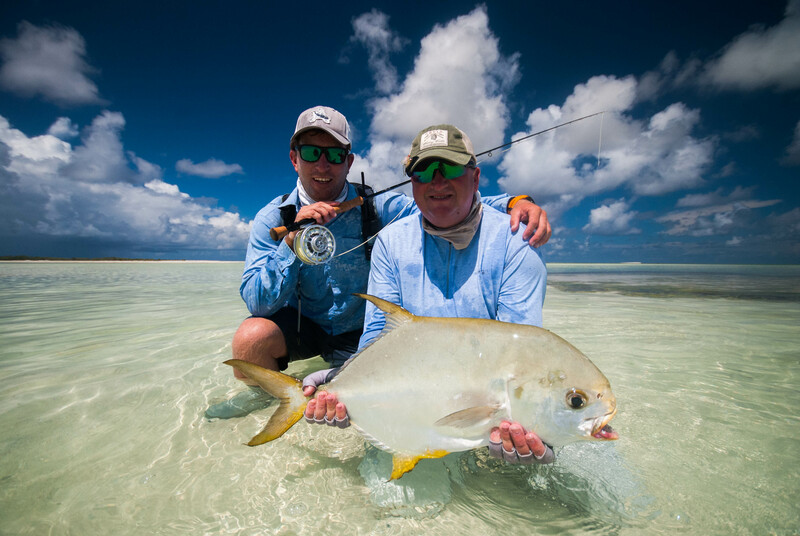 Tight lines, happy festive season and Merry Christmas from the Alphonse Fishing Co. team on Alphonse.